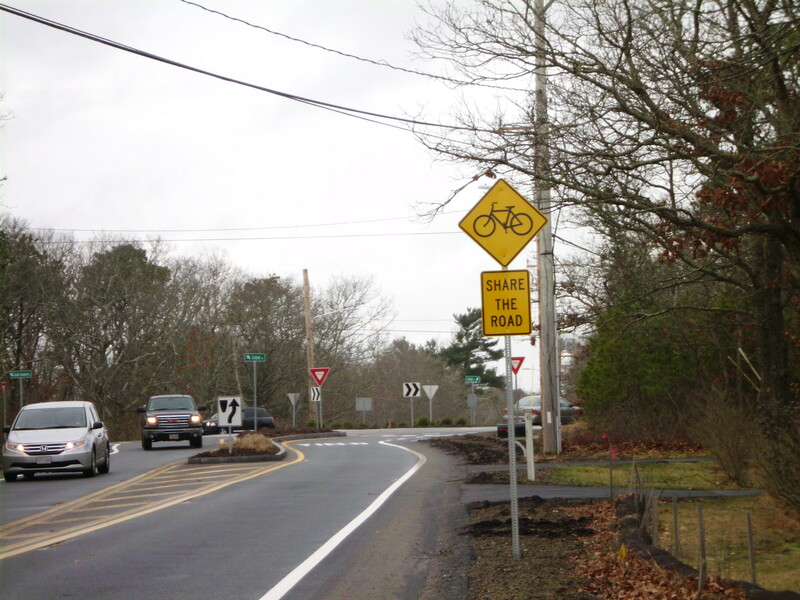 Known as one of the most hazardous intersections on Cape Cod, the Cotuit Road/Harlow Road intersection was in critical need of safety improvements. The modern roundabout solution was developed through the collaborative Road Safety Audit (RSA) process. The audit brings together local officials, not usually included such as Police and Fire Departments with technical engineering expertise. 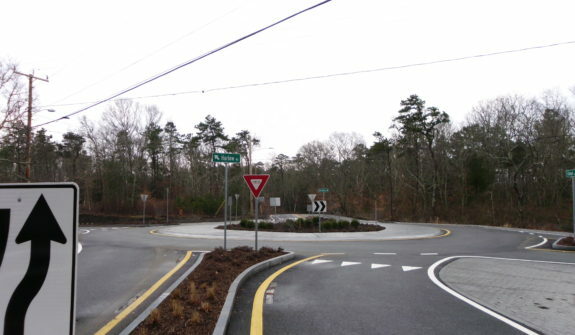 Having evaluated numerous options, it was clear that the existing roadway layout and traffic flow pointed to the roundabout as the preferred option. Our close collaboration with the reviewing agencies allowed us to advance this federally funded project from start to construction completion in 3 years. 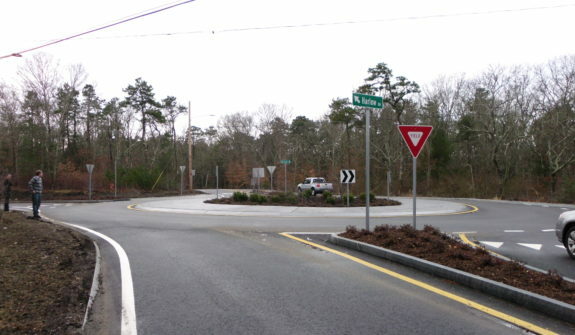 We are pleased to note that the roundabout was completed ahead of schedule in Spring 2013 and has been welcomed by the Town of Sandwich. 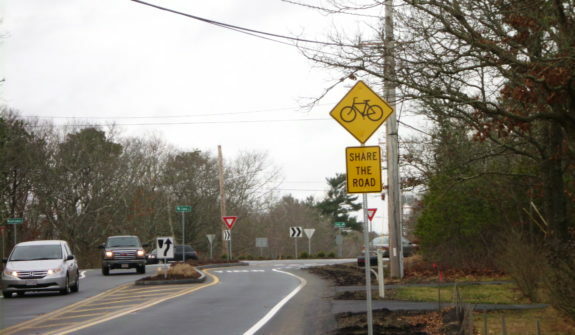 "Being on a fast track for design/build as part of MassDOT’s Road Safety Audit program, HSH was very responsive to the Town in addressing design and permitting related issues. 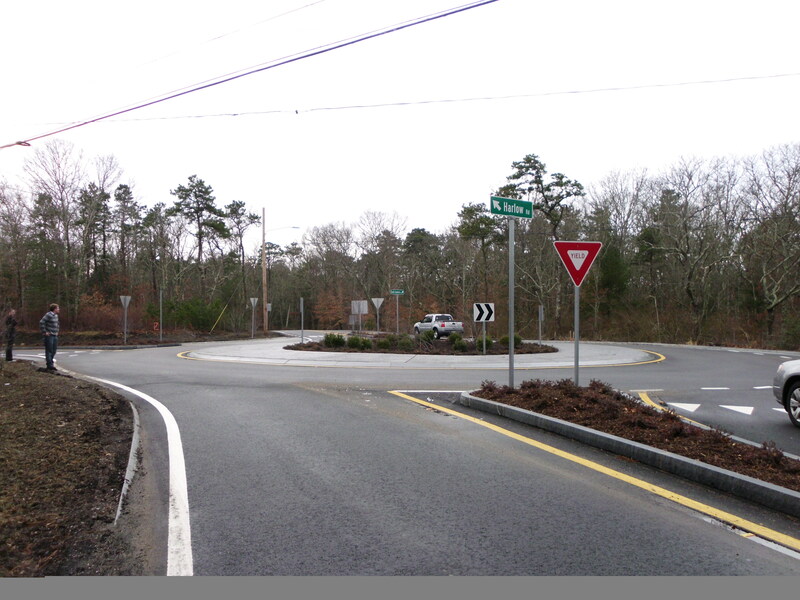 HSH worked cooperatively with municipal officials, state agencies and the public in resolving many obstacles related to the design of the modern roundabout, still a relatively new concept on Cape Cod. 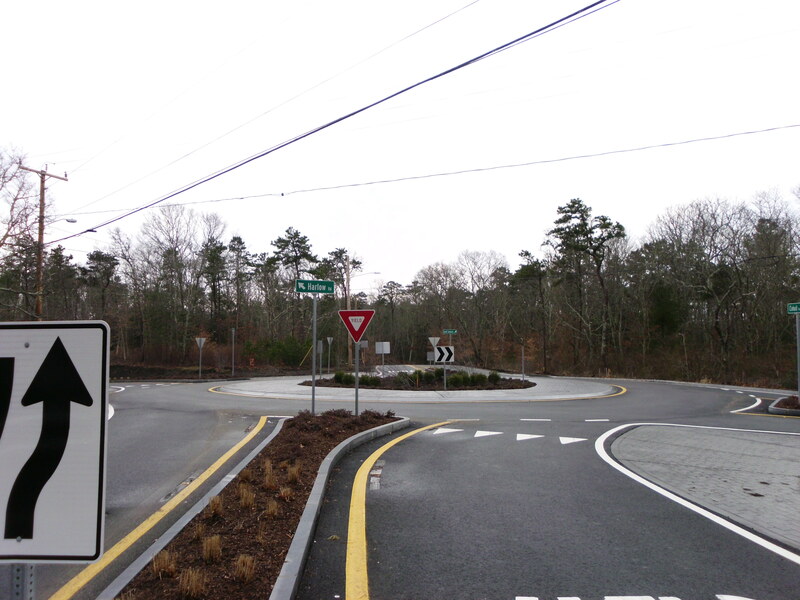 Initial reservations by the public diminished throughout the public participation process and no longer exist as traffic operations and safety have greatly improved with the new roundabout."